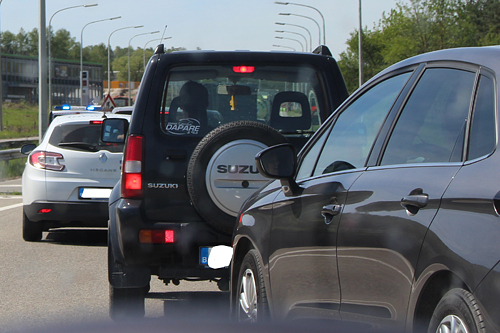 Wednesday, May 17, 2017 - 12:00 - on the N5 at Frasnes (Couvin) a traffic jam ... everyone stopped and already an imposing line of cars was formed. 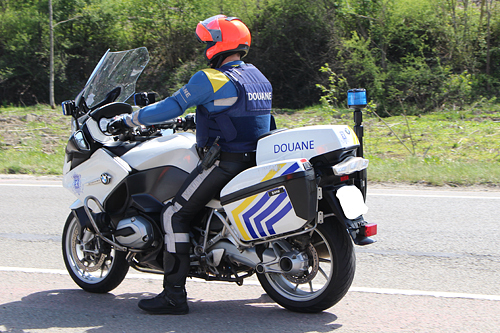 No, fortunately ... a Belgian Customs van announces a check point. An impressive display of official vehicles on the central strip and an equally impressive number of uniformed people (customs officers, police officers) as well as a cohort of journalists wearing red tunics from the "Defence - Press" service ... and finally two Federal ministers, yes ... we saw the Minister of Defence - Steven Vandeput and the Minister of Finance - Johan Von Overtveldt. Let's go back to the Florennes air base at 10:30 am that same day. A press conference is organized jointly by IPR (Defence) and the PR of the SPF Finances. The respective ministers will sign a Memorandum of Understanding (MoU) between the Federal Customs Service and the Defence UAV Squadron. 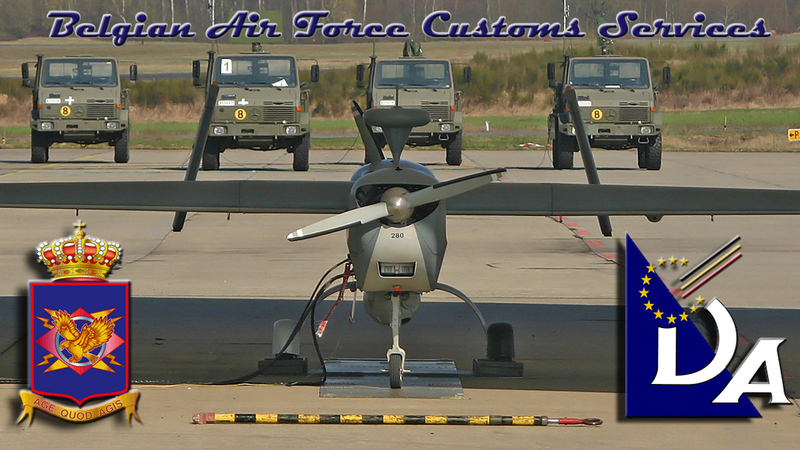 The objective is to implement B-Hunter-type unmanned military aircraft during large-scale customs controls on public roads. It also intercepts vehicles which are not in administrative order as well as persons still liable to fines. Major Fabrice Leroy, Commanding Officer of the 80 UAV Squadron, presents his unit. Established in 2002 with the receipt of 18 B-Hunter aircraft and 6 control stations, the Sqn was part of the Land Force and based in Elsenborn. The unit went under the command of the Air Component in 2004 and moved to Florennes in 2011. The aircraft were engaged in EUFOR military operations in 2005 in Bosnia and in 2006 in the Democratic Republic of Congo (DRC). In Belgium they are also used to detect marine pollution in the North Sea and to assist forest rangers. 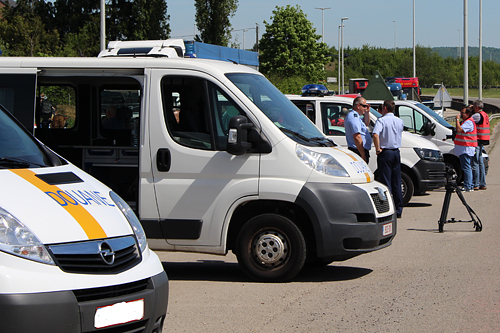 They were also used in 2016 to monitor the port of Antwerp to prevent terrorist acts. The B-Hunters arrive at the end of their live, but the Minister of Defence wants to extend their use beyond the date set for their withdrawal. The collaboration with the Customs will probably justify a few years of theft. The B-Hunter is a surveillance aircraft piloted from the ground by a team of three people (the pilot, the navigator and the mission commander). It measures 7m in length and 9m in span, has a autonomy of about 10 hours and a range of 100Km from a control station. It is a platform on which different elements can be mounted: a system of cameras (option chosen by Belgium), a laser designator, a system of jamming, telephone listening, etc. The cameras that equip our B-Hunters provide images to the ground in real time, day and night. The B-Hunter is equipped with a GPS receiver and an IFF (Identification Friend or Foe). It uses an ATLS (Automatic Take-Off and Landing) system that provides maximum safety during take-off and landing. Thanks to its two engines, it offers a very high level of reliability allowing the overflight of inhabited areas and its integration in the airspace. A minimum of 300m of runway is required for take-off. Its recovery is done on track and the stop is ensured by a system of cables. In the event of breakdown, it remains as a last resort the opportunity for the pilot to open the parachute. Mr. Julien de Meeüs d'Argenteuil, Director of the regional centre of Mons explains the specific missions of the Department of Customs and Excise Duty. The abolition of border controls did not eliminate the usefulness of the AGDA control services. At present, the missions concern the repression of common law facts (weapons contraband, illegal products - drugs and counterfeiting or piracy - and cash trafficking) and the proper application of excise duty on alcohol and tobacco. Since 22 March 2016 and the terrorist attacks in Brussels, missions of anti-terrorist struggles and research have also been added at the request of the federal government. 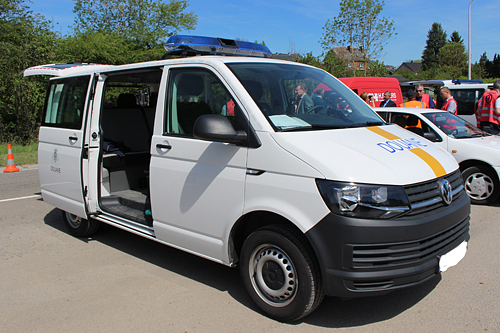 To fulfil its missions, the staffs have traditional means of transport (motorcycles, cars, vans and trucks). The availability of B-Hunters by Defence will substantially increase the effectiveness of control operations. Aerial surveillance of checkpoints will help identify suspicious behaviour and, above all, not to lose track of individuals attempting to escape through the transmission of information and images to the intervention and interception teams at ground. 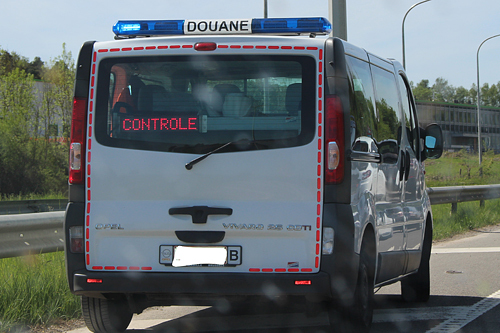 This is the first collaboration of the Customs with the Defence and the first use of the B-Hunter in surveillance of a road control operation. From the first mission, the use of the device allowed several interceptions and the repression of several frauds (gasoil, drugs) and the recovery of several unpaid fines. Because the B-Hunter can stay much longer in the air (the whole duration of the mission without interruption), because it is more discreet and very undetectable since it flies at an altitude of +/- 2.5 Km, and its noise is generally covered by that of road traffic. (Alain Debras ©) And the dog... Two different specialists! SBAP would like to thanks ComOpsAir IPR, the Public Relation team of 2nd Tactical Wing and AGDA for the quality of reception and organization of this press point.